Solar panel warranty vs. performance guarantee: What’s the difference? 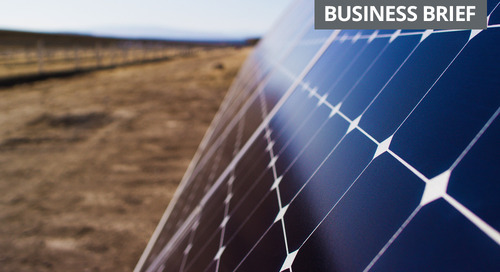 Because commercial solar panels are a significant and long-term investment, your organization’s stakeholders will want to know that their investment will be protected. 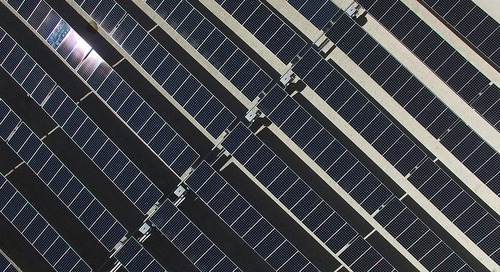 This typically happens through some kind of solar panel warranty or solar production guarantee (also called a performance guarantee)—or a combination of the two. Solar warranties and guarantees mitigate the risk of faulty equipment, breakage and/or underperformance that might occur. 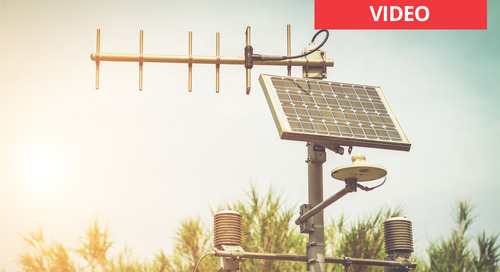 Problems with solar panels are statistically rare, particularly when you choose solar equipment from proven manufacturers. But the presence of documented assurances can give you a greater understanding of the long-term financial impact of solar ownership and help gain stakeholders’ buy-in for your proposed solar project. 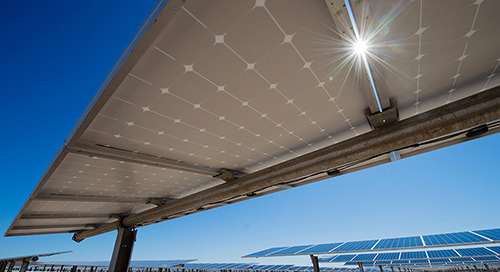 As you’re researching commercial solar options, you’ll likely encounter a wide variety of warranties and guarantees with different types of coverage and term lengths, plus a lot of fine print that might make it unclear what’s covered and what’s not. In addition, depending on the manufacturer, warranty definitions can vary greatly. For example, did you know that there’s a difference between solar panel product warranties and power warranties? And did you know that solar panel power warranties are different from performance guarantees? And that performance guarantees can be difficult to get and usually come with strings attached pertaining to operations and maintenance? Although the options can get confusing, it’s important to understand the differences when you’re deciding between solar companies. 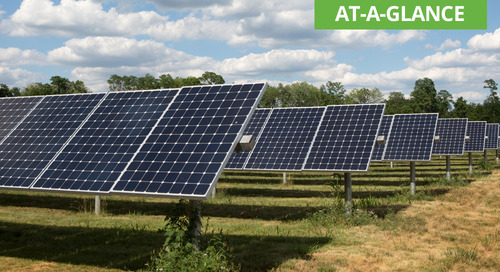 Let’s distinguish between the different types of assurances that might come with your organization’s solar system. 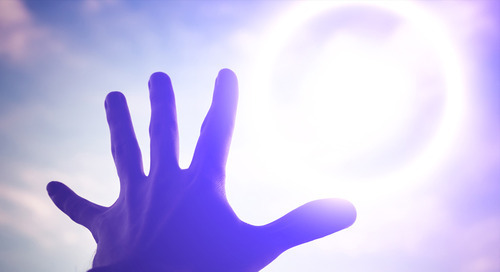 Solar panel power warranty: Over time, the power output of all solar panels diminishes or “degrades.” Knowing this degradation rate (which is stated in the warranty document) will give you a clear sense of the minimum amount of power you’ll be guaranteed for the first 5, 10 and 25 years of your panels’ life. Then, if a panel’s output is lower than promised, the manufacturer will replace, repair or reimburse you for the panel—depending on the warranty terms. 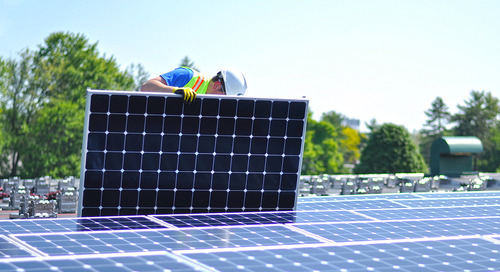 Combined power and product warranty: Many solar manufacturers offer power and product warranties that provide coverage for different amounts of time. Other manufacturers offer both warranties for the same timeframe. Note that for many solar manufacturers, only their product warranty covers failure due to product defects or workmanship—and their power warranty doesn’t mention defects at all. So be sure to do a side-by-side solar panel warranty comparison, paying close attention to how the power and product sections are worded. For example, you might think a panel’s power warranty covers any situation where its performance or output has been compromised. But be sure to take a closer look. Most panel manufacturers focus solely on their power warranty, because it often appears to guarantee a working panel for an even greater length of time than their product warranty. However, many of these power warranties are not supported by their accompanying product warranties. 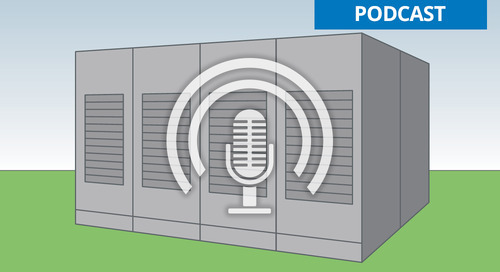 Case in point: If a panel is not producing the amount of power expected, but the reason is because of a product flaw, the manufacturer may refuse to cover the problem under its power warranty. If the product warranty doesn’t cover it either, or it has run out, you’re out of luck. Manufacturer’s warranties vs. installer’s warranties: You may get multiple manufacturers’ warranties if your system is made up of components from different manufacturers. For example, if your panels come from one manufacturer, your inverters from another manufacturer and your mounting hardware and cables from yet another, there will be different warranties and terms associated with each piece. 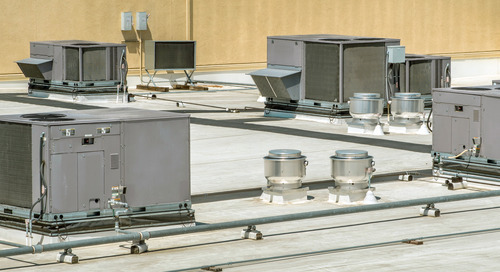 On top of that, you may get a separate warranty from your installer, which would cover issues specifically pertaining to errors or damage during installation. Solar performance guarantee (PeGu): Although a solar panel power warranty is sometimes referred to as a “performance warranty,” it is not the same thing as a performance guarantee (sometimes called “PeGu” for short). The difference is the element of time. A panel power warranty is about the watts a single solar panel should be able to produce; it’s still about the equipment. In contrast, a performance guarantee is about how many kilowatt-hours a commercial solar system actually produces over time (usually a year). Throughout the year, the system’s performance is continually monitored and evaluated against the guaranteed output, and the guarantor pays the system owner for any shortfall. Manufacturers are understandably reluctant to offer performance guarantees since they often don’t install, operate and maintain solar systems themselves. If they have no control over how the system is installed, how often it’s inspected and cleaned, or the qualifications and training of those who make repairs, they can’t assume responsibility for that system’s performance over time. So you’ll usually be able to get a performance guarantee only if the manufacturer (or manufacturer-approved vendor) is also the installer AND is contracted for ongoing operations and maintenance (O&M). As you can see, there are good reasons why a lot of confusion exists around commercial solar panel power and product warranties and performance guarantees. But now that you know the differences between the various kinds of assurances and what to expect, you’ll be able to more effectively compare and contrast your options. 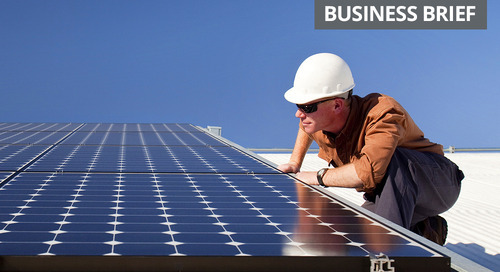 As always, it’s a good idea to work with a solar energy consultant with expertise in this area. They can help you understand the complexities of any warranties or guarantees under consideration. Plus, they can assist you in comparing and contrasting how different warranty terms could impact your organization financially, both in the short and long term. Yes, solar panel efficiency is important. But there’s more to keep in mind as you compare options for your business. Here are the top characteristics to consider. 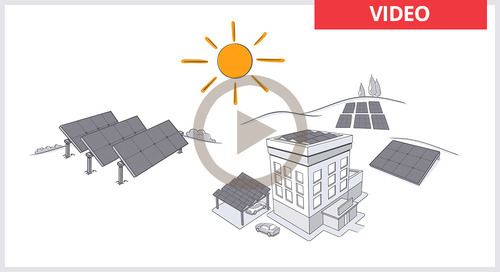 For businesses considering commercial solar, this brief video on the history of solar power teaches dozens of surprising facts and helps explain what drives the falling costs. 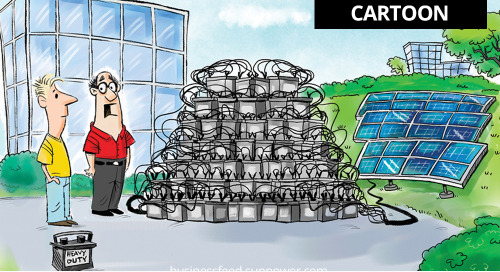 This cartoon lightheartedly highlights the fact that some commercial solar panel installations are, in fact, maintained by solar panel cleaning robots. 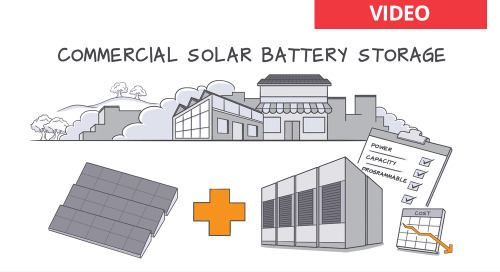 This easy-to-follow infographic explains how commercial battery storage for solar power works and could potentially benefit your organization. 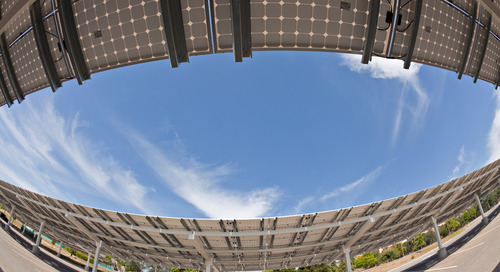 What is degradation rate, and what does it have to do with commercial solar panels? Great questions! Check out these key things to know before making decisions for your organization. 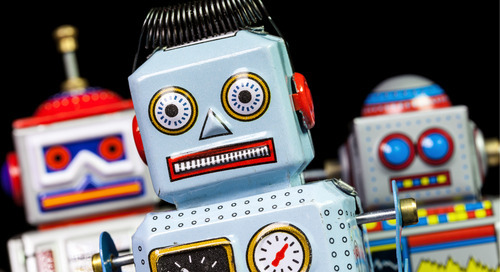 Ever wonder what companies use robots? 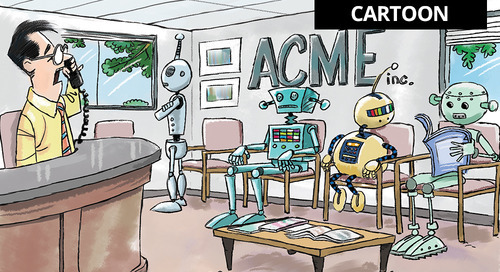 And what robots are used for at work? 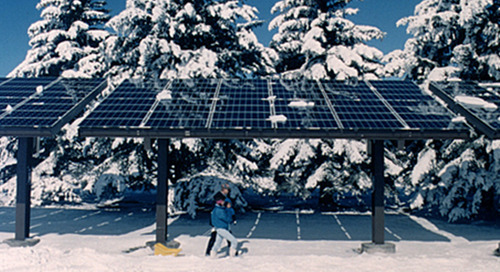 This article introduces you to robotic solar panel cleaners and more. 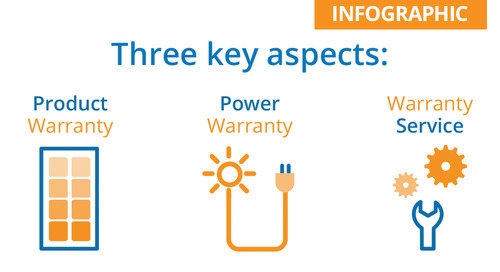 This infographic provides a high-level overview of 3 key aspects you should understand about your commercial solar panel warranty before making a purchase decision. 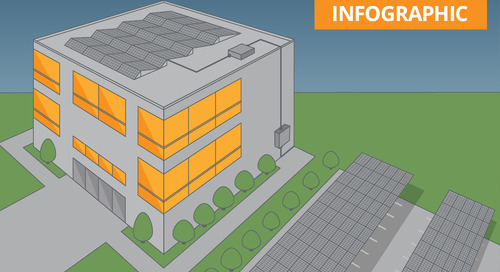 Generating commercial solar power isn’t as complex as you might think. 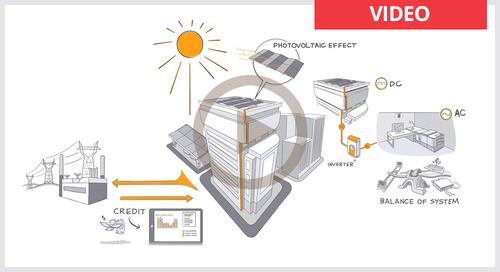 And it all starts with the renewable energy source right above our heads: the sun. 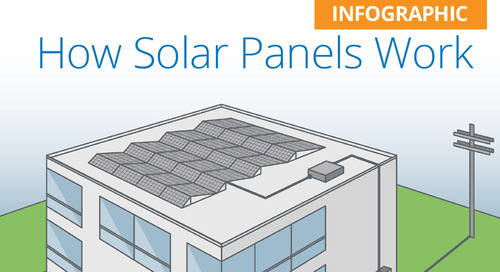 What you should know when comparing commercial solar panel warranty coverage. 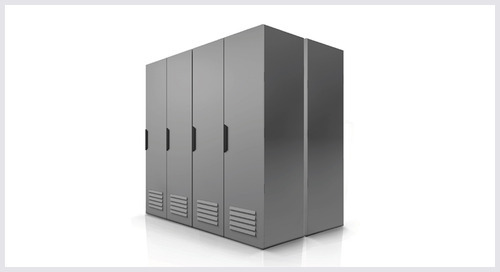 Commercial solar battery storage has recently become a viable option for many organizations. Find out if yours is one.